A staple of land-based casinos the world over, Tiki Torch is a well-designed pokie made by Aristocrat, the largest gaming manufacturer in Oz. Designed by Pantaloo, the exotic game – which gives players the option of 9- or 20-line configurations – can now be enjoyed at a brace of virtual casinos. Punters can try their luck on the lurid five-reel video pokie using real money or by playing for free. As well as being available in traditional and online casinos, the title is compatible with iPhones and can be downloaded free of charge from the App Store. Aristocrat games tend to polarise opinion, but the release of Tiki Torch in 2012 was welcomed with approval in the gaming community. A hallmark of titles from this developer include ringing bells and clickety reels and Tiki Torch is no exception; if such sound effects are likely to raise your hackles, maybe this isn’t game for you. And maybe you should lighten up. The concept of Tiki Torch is pretty straightforward. Players are spirited on an epic search for the eponymous and exotic Tiki Torch, which is the elusive Wild in the game. (In a base game, the Wild substitutes for all but the pearl symbol.) There are three symbols on each of the five reels, with emblems including a knife, a canoe, a pearl (the Scatter) and a hut, in addition the usual 8/9/10/jack/queen/king/ace symbols. The colours are so darn bright that you may require sunglasses and the gameplay is quick as a hare. Dare you embark on a search for the totemic Tiki Torch? You’ve packed your gear, stocked up on provisions and told your family you love them; you’re finally ready to search for the Tiki Torch. What exactly can you expect from your onward journey? Well, bonuses for one. Players can trigger a free spins bonus every time they hit three or more pearl symbols in the first three reels. While the bonus only awards eight free spins – which is pretty paltry in comparison to many other top-line pokies – you can re-trigger a bonus while using up your free ones. During each of the eight complimentary spins, the high-pay symbols turn into Wilds, offering the goodly prospect of gainful remuneration. It’s not altogether uncommon to get 100x on a round of free spins. Promising an overall RTP of 94.85%, it should come as no surprise that Tiki Torch has enticed a crop of glint-eyed players. While the base game doesn’t yield a staggering amount of winnings, the free spin feature has accounted for many a satisfied gambler. 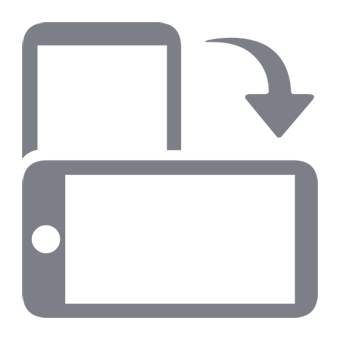 As far as stakes are concerned, players must bet a minimum of one credit per pay-line. Hit three or more pearls and you can see anywhere between 2x or 50x your bet (as well as receiving your eight free spins, of course). 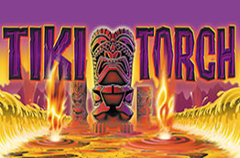 The Tiki Torch pokie – like many Aristocrat creations – boasts a gamble feature, meaning players can risk their winnings and double or even quadruple their loot. It’s hella risky, but if you lead a life lived on the edge and if your nerves are slow to fray, you might appreciate the feature. Players can enjoy Tiki Torch in plenty of venues throughout the Free World. You can play it on the Aristocrat website, by downloading it for your mobile or tablet or perhaps by visiting your nearest bricks-and-mortar casino. Plenty of reputable online casinos offer Tiki Torch, as well as the rest of Aristocrat’s library, chief among them MeccaBingo and BetVictor. Tiki Torch is an all-round good game that has found an audience in recent years. The different line configurations, as well as the pokie’s dazzling look and seaside arcade style sound effects, are to its credit. The free spins rounds are always action-packed, with Wilds falling thick and fast. On a negative note, triggering the bonus feature is tricky, as a player must get the pearl Scatter symbol on the first three reels. I think most gamers would prefer having to hit three scatters anywhere on the screen, though the awkwardness is partly mitigated by the kicker of multiple Wilds popping up during the bonus spins. If you think Tiki Torch will make you tick, give it a whirl at your nearest casino or online portal today.